Good News ! 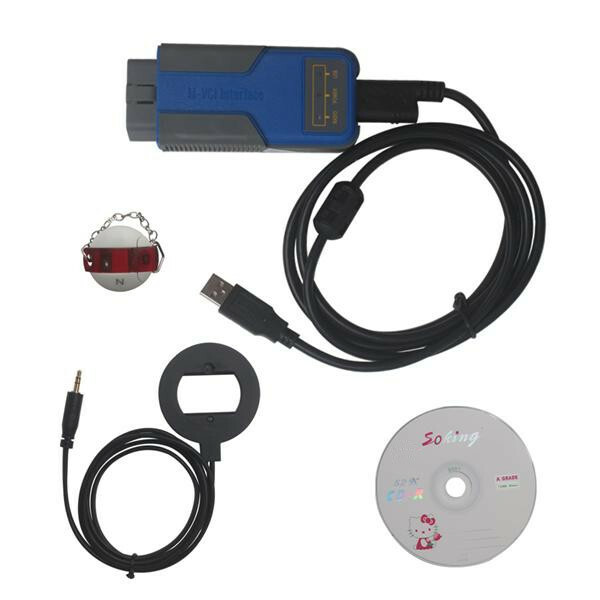 Now buy Multi Tool For BMW, Get Free Encryption Authorization For BMW CAS4 ! Make Sure Connect Dongle to Compute Before Run the Software. 1. This verison need newest firmware V1.0.6 support. 3. Fix bug make key for CAS3+ encrypt verison with ISN or DME/DDE dump file. 4. Add support for lost all key with ISTAP4* while not update CAS FLASH. You can find this in File Make dealer key. You can get the latest software version and firmware version when you can access to internet. Now For BMT support there type of protocol: KWP-CAN BUS 100Kbps, KWP-CAN BUS 500Kbps, KWP-2000. "Auto Detect " function can help you to choose the right protocol. After choose protocol okay, then press "Connect". If connected success. All CAS info will display in CAS Identification. Include CAS number, VIN, production date, etc. Recent my Multi Tool For BMW reported a problem, saying “failed at the security access” when I was programming a new key. I contacted my supplier and their technician helped me solve it smoothly. 10. So the 64 cycle is really to save you having to downgrade the CAS but you still need to manually read the CAS for this option. For me this is still the best way as there is no way I would downgrade the CAS (unless you made it very clear what this meant to the tool). If you have ever encountered this problem, hope this info can help you. Q2: Could you please let me know if bmw multi tool has EWS function ? A2: Yes,it can do EWS,you need to detach the device then connect with CAS socket to read EWS data. Q3: Can BMW MULTI TOOL do BMW cas3 and cas3+ keys? For example, the 868 MHz key. A3: Yes, BMW MULTI TOOL can do most kinds of BWM keys. Q4: Can BMW Multi Tool V6.0 do the EWS ? A4: Yes, but you should withdrawing the EWS when you want to read the data. Reading the data you should have a CAS socket.